Talking about good, this recipe today is beyond good. It is D.E.L.I.C.I.O.U.S and so easy to make. First of all you probably have all the ingredients on hand. 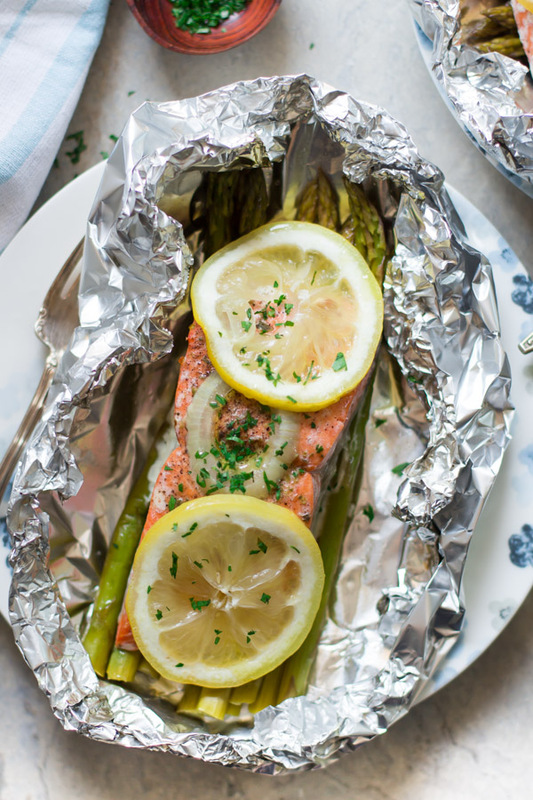 Second, we won’t dirty any baking sheet because we will bake the salmon in foil. And third, you don’t even need to make a side dish, because the asparagus is already your side dish.I love this method since it allows you to bake different flavors into your salmon. You infuse your salmon with lemon, onion and dried oregano for a richer flavor. But, before we go to the recipe, let me give you some tips to make this even more delicious.